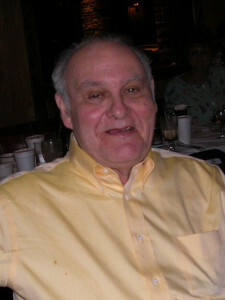 About – MSB Publishing, Inc.
Mitch Bender was the band director at Herndon Intermediate School from 1967 to 1986. Born and raised in Aurora, Illinois, he took up trumpet at an early age, attending the University of Illinois as an undergraduate and subsequently earning his M.A. in Music Education from Chicago’s VanderCook College of Music. After serving as a staff arranger for the U.S. 8th Army Band in Seoul, South Korea, Mr. Bender began his teaching career in his native Illinois. He moved to Fairfax County and Herndon Intermediate in 1967 where his bands routinely earned “superior” or “Excellent” ratings at District Festival. Mr. Bender’s exemplary work at Herndon Intermediate ensured that a steady stream of outstanding freshman musicians was funneled into the HHS band program for almost 20 years, directly contributing to the latter program’s enviable reputation and success. Mr. Bender’s musical achievements were to continue in a similar vein when he became the founding band director at Reston’s Langston Hughes Middle School in 1986. After retiring in 1990 Mr. Bender remained an active presence in the local school band community,often serving as an announcer at VBODA District Festivals. In retirement, he also founded MSB Publishing, lnc. which boasted over 200 tittles in its catalog, including works by such highly-regarded composers as Elliot Del Borgo, Joseph Compello and Dr. Robert Cameron. A gifted composer and arranger in his own right, Mr. Bender wrote fluently and prolifically for band, orchestra, chorus solo voice and virtually every instrument imaginable. But most especially Mitch Bender drew on his decades of classroom experience to affectionately craft dozens of attractive, high-quality selections that could be played and enjoyed by the sort of aspiring young musicians that he knew loved and taught so well.